The general interior finishes of any commercial building our always subjects to aesthetic inclinations and preferences. 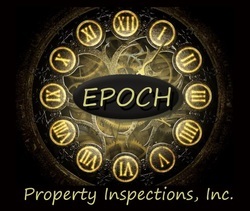 A commercial property inspection or property condition assessment is typically not overly concerned with the appearance or fit or finish of any purely aesthetic items unless they in some way affect the maintainability or functionality of the facility. To this end items such as paint and ceiling tiles and carpeting and other items of this nature are generally excluded from any report except as a possible note in passing. Where these items may overlap could possibly be something along the lines of electrical panelboards that have been painted over and are corroded or stuck shut, or where items of an aesthetic finish nature have been hung from sprinkler piping. Most commercial properties whether owned outright, bank owned, or leased will place full responsibility of the finishes maintenance and improvements on the occupying tenant of the subject space. Since finishes are generally subjective and vary widely no cost data is typically associated with finishes. As with any building system commonly found on a commercial property routine inspection and condition assessment followed by application of proper maintenance materials and techniques is of utmost importance in ensuring the longevity of any interior finishes. Examples: finishes, partitions, flooring, walls, fixtures, amenities, paint, doors, casework, cabinetry, trim, suspended ceilings, decoration, functional.